With the temperature rising the last thing you want it to be stuck in the kitchen. Here are some cool and healthy breakfast ideas, no heat necessary. What is the first thing that comes to mind when you think about breakfast? Probably something warm like eggs and bacon, or a hearty bowl of oatmeal. But with the summer heat, the last thing you want to do is stand in front of a stove preparing a warm meal. No, you want something refreshing, preferably easy and quick. 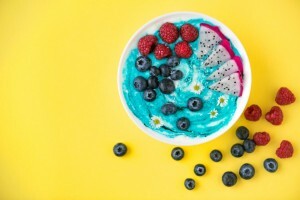 With that in mind, Great Harvest of Newtonville has compiled some healthy breakfast ideas to help you beat the heat in Newtonville. There are so many easy and healthy options when it comes to toast. You can just eat your toast with butter or top it off with something else. Slather some almond butter on your toast and top it with bananas and powerful seeds such as chia. Eat your toast with mashed avocado and place some cucumber slices, tomato, fresh basil and feta cheese. Head to your local bakery, Great Harvest of Newtonville to check out their different bread options to make your toast even more interesting. You can also call them ahead at (617) 928-1162 to learn about their menu. You can make your chia pudding at night and it will be ready for breakfast in the morning, or you can make it in bulk and it can last for days. There’s really not a lot to making chia pudding. A cool option is ginger-peach chia pudding. Two super foods in one, what more could you want? All you need to do is puree about 8 oz of peach (preferably frozen), 1 cup unsweetened nut milk (your choice), ½ tablespoon ground ginger (or fresh if you have it at hand), and a bit of vanilla extract and pure maple syrup. Stir in 5 tablespoons of chia seeds and divide the mixture equally in jars or bowls. Stick it in the freezer and forget all about it until next morning. You can make chia pudding with whatever fruit you like. If you’re looking to add more whole grains to your diet, oatmeal is a great option. Oatmeal is usually served warm, right? Well, not overnight oats. Although you can warm them up if you prefer, they’re just as good served cold. You will need a mason jar, 1/3 cup rolled oats, 1 tablespoon chia seeds, 1/4 cup Greek yogurt, 1/4 cup nut milk. That’s the base for any overnight oats recipe. To make a piña colada version, you will also need 1/ cup pineapple, 1 teaspoon of shredded coconut, 1 tablespoon of honey, and 1 tablespoon of slivered almonds. Just mix everything in a jar, shake well, and leave it in your fridge overnight. Smoothies can be incredibly satisfying and they are the perfect on the go meal. They’re so versatile. You can consume your fruits and your veggies in a refreshing drink. Start by keeping a variety of fruits in your freezer so you can just throw them in the blender for your smoothie. If you love to take pictures of your food, make a smoothie bowl instead and decorate it to be picture perfect. Here are some tips on how to make the perfect smoothie bowl. It’s impossible to forget about yogurt as a cool and healthy breakfast option. Parfaits can be a fun food to assemble, especially if you want to involve the kids. You simply need to repeat layers of yogurt, fruit, and some cereal or granola. If you want to take it a bit farther, you can make your own granola, the Live Fit Girls teach you how. It can’t get any better than that. Alright, you will have to fry an egg or cook it in the microwave for your breakfast sandwich, but it will not take long. Grab an English muffin or your favorite bread from Great Harvest of Newtonville, spread some butter or mayo on it and add your favorite ingredients. Try your sandwich with avocado, ham, and tomato, or go for an all-veggie option. You can eat your fruit salad at any time of the day, but it's a good idea to eat it for breakfast and make your sugar intake a healthy one. A super easy fruit salad option is mixing your favorite seasonal fruit with some quinoa and topping it off with a honey-lime dressing. Another easy, no-cook breakfast option awaits you at Great Harvest of Newtonville. Why not eat a yummy muffin or a fresh sandwich this morning? Come to visit the bakery or give them a call at (617) 928-1162 to hear about their tasty bread options.